Call to Action: Want to Help the Fire-Ravaged National Museum of Brazil? It’s not clear when (or even if) that “reconstruction” may involve new construction. From aerial photographs of the rubble, it appears that the interior of the original structure is totally charred and gutted. Have you found fragments of the National Museum Collection? Deliver them to the Central Library in the Quinta Da Boa Vista Botanical Garden, Monday-Friday, 10 a.m. to 4 p.m.
Do you have pieces or digital copies that you want to donate? Send information by email to: Falecomdiretor@Mn.Ufrj.Br—Subject Line: DOAÇÃO (DONATION). Want to volunteer? Email to: Falecomdiretor@Mn.Ufrj.Br—Subject Line: VOLUNTARIADO (VOLUNTEER). Do you have photos of the collection? 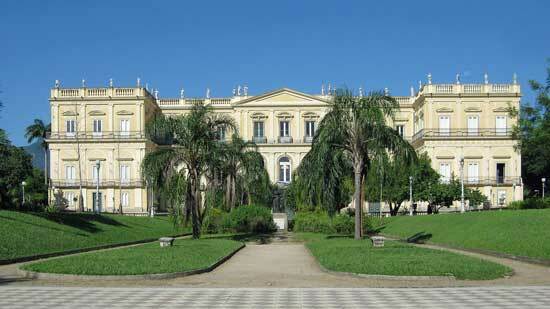 Send by the institution’s link: http://museunacional.ufrj.br/memoria. Help to reconstitute the museum in digital form. Are you organizing a demonstration of support? Let us know: Falecomdiretor@Mn.Ufrj.Br—Subject Line: MANIFESTAÇÃO (DEMONSTRATION). Is your institution interested in providing specific support? E-mail to: falecomdiretor@mn.ufrj.br—Subject Line: APOIO (SUPPORT). Please do not send photos or materials to other addresses. At the bottom of the museum’s “action list” is information about how and where to send financial donations. I haven’t vetted this, so I won’t post it. But I refer you to the end of the notice on the museum’s Facebook page (linked at the top of this post) if you wish to have that information. If it hopes to receive a substantial infusion of outside support for its revival, the moribund Museu Nacional’s resuscitation plan will need to include a detailed account of exactly what it hopes to accomplish and how it expects to be able fund it. American institutions can provide wise counsel and American donors can play a part. But to make this happen, Brazil’s already financially challenged institutions and government agencies will need to take a leading role.